-Cancellations, changes or no-shows after this period will be fully charged. Our reception is open till 22.00 hours. If you are coming later than 22.00 hours please contact the hotel. We will discuss the procedure of check-in with you on the phone. Our hotel provides you with free parking at our parking place. When there are any problems please contact the hotel. When you make a reservation at our hotel, you will be asked for your name, adress, phone number and email adress. We will use the personal details for making the reservation. We won't give your personal details to other third parties. Tucked in the middle of the beautiful Strijthagen nature reserve, just 300 metres away from Snow World, lays an impressive estate in traditional style, and is only 20 minutes by car from Aachen, Valkenburg and Maastricht. The warmly decorated restaurant, spacious terrace and comfortable rooms, combined with a pleasant staff and good service, are sure to provide you with a memorable stay. At the Vijverrestaurant, guests can enjoy various French and regional dishes. This protected sanctuary offers marvelous walking and cycling opportunities as well as a range of sports facilities in the area. 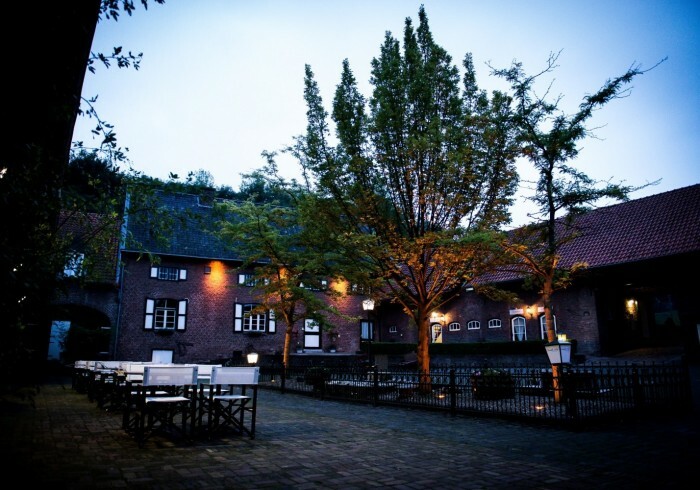 Embedded in tranquility yet close to a number of charming cities and the German border, this hotel is the ideal spot for a holiday get away, business trip or for travellers en route. GaiaZOO and the gardens of Mondo Verde are both less than a 10-minute drive away.